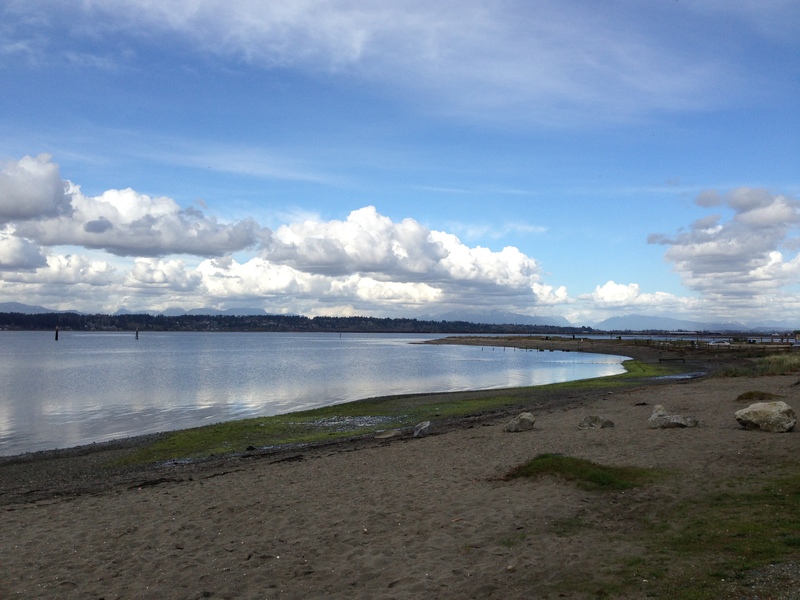 Crescent Beach on a crisp spring day. I must get better at blogging more regularly. I promise I will. As is usually the case around here, things have been rather busy. But not too busy to get to my favourite beach for a walk or two. Getting outside and into nature always gives me new ideas, from colour to texture to shape. 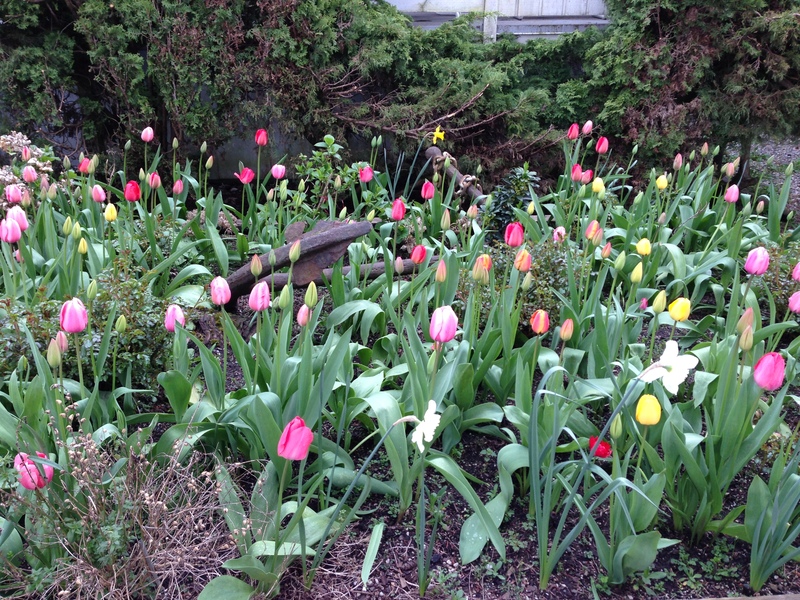 I saw a garden full of tulips that was an amazing sight to behold. Truly there were tulips in all the spring colours filling someone’s back garden. I was delighted. In the centre of the photo lies a very large anchor. In another garden, an anemone was in bloom, looking gorgeous. I can’t see anemones without thinking of being in Greece, which was the first place I had ever seen anemones growing – and in the wild, too. 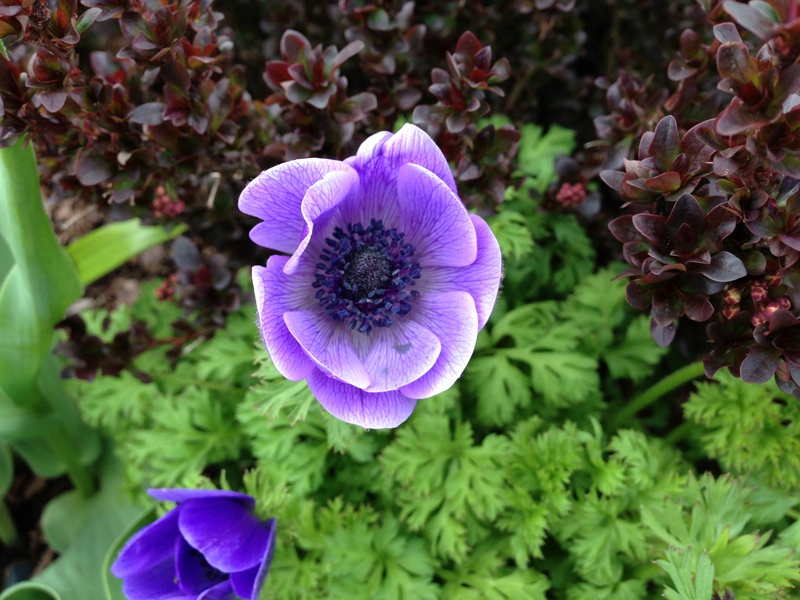 I think this anemone has really inspired me in terms of colour this spring. 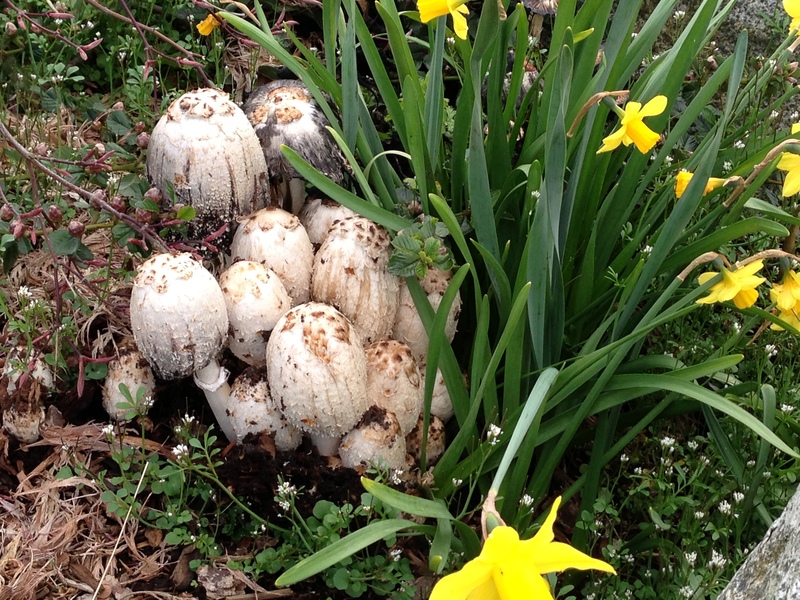 Also growing quietly in the same garden was a crop of mushrooms hidden behind daffodils. The mushrooms looked like they had been stretched and seemed somewhat mystical. Despite the serious expression (honestly, I don’t really like having my photo taken), I really enjoyed the fresh walk earlier in the month. 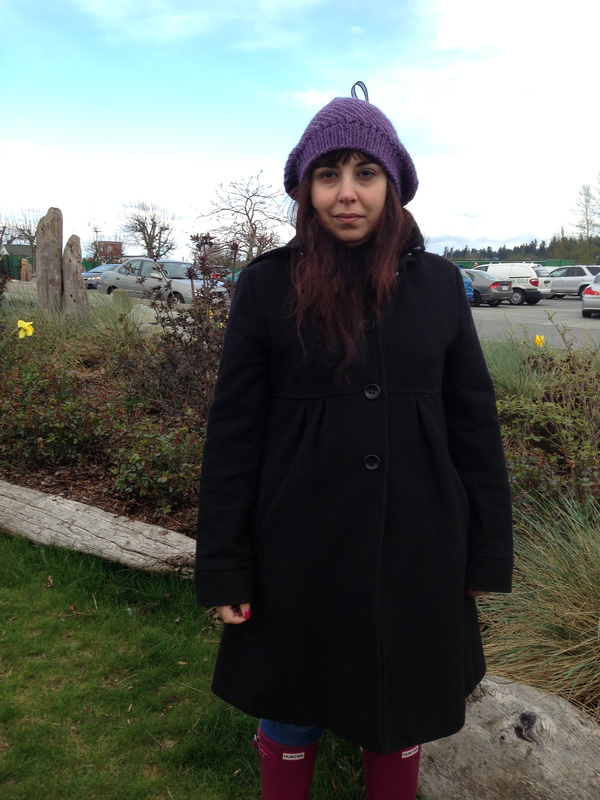 If you look closely, I’m wearing my sample for the new Granville Hat, which will be released in early May. The hat kept me warm against the beach breeze! Granville has been been tended to by my lovely tech editor and my wonderful test knitters. I’m in love with the nearly anemone coloured alpaca yarn by DROPS that I used to knit up the sample. I promise to blog more about Granville for its release. This photo is a clue for the secret project. 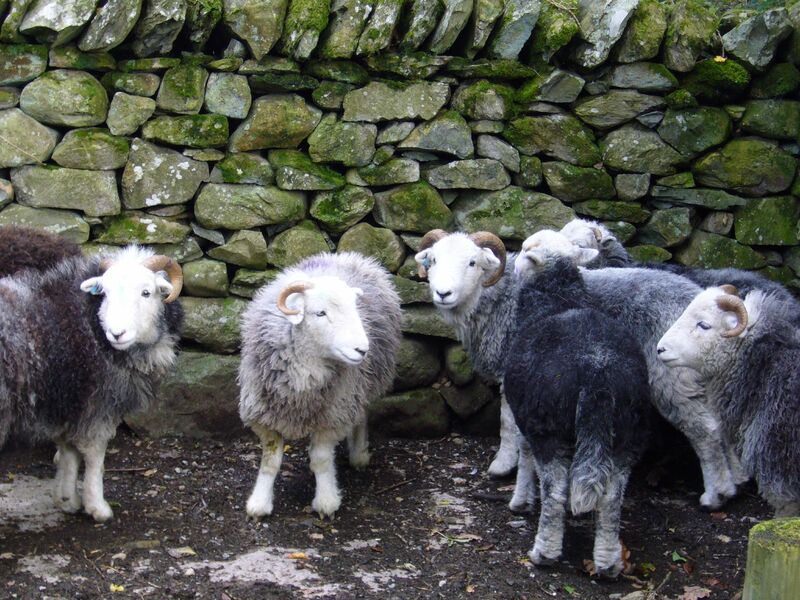 Admire the Herdwick sheep. My secret project is coming along well, too. I’ve finished the sample and the photography with the kind assistance of undisclosed helpers. The pattern is off to the tech editor and I’m aiming to release the hat mid-May. I’m pretty thrilled with the result. The book project is also humming along. There will be a photoshoot or two in May to show all the pattern samples that will be in the book. I’m excited about this and trying to figure out some locations for the shots. There’s always a few more things up my sleeve too. But in the meantime, enjoy the gorgeous spring out there.